You can’t enjoy the game if you don’t know how it’s played. Pickleball is a combination of ping pong, badminton, and tennis, but has a unique set of rules that differ from all of them. The place to start if you are new to the game is to get an understanding of the rules for serving, scoring, and both singles and doubles play. Check out our pickleball rules section to familiarize yourself with the fundamentals of this addicting game. In it we explain the court layout and player positioning, rules for serving and scoring, and even the regulations on paddles, balls, and nets. Even though pickleball started out as a made-up backyard sport (check out our post on where pickleball got its name), it has matured to the point that there is a USA Pickleball Association to help standardize the game and promote its growth. That is great news if you love pickleball, because it means that the sport will continue to grow in popularity. Pickleball is a fun game to play, and a great venue to socialize with friends who also enjoy the sport. But what isn’t fun is losing every time you take the court. Whether it is the result of friendly competition, or the desire to dominate the game, learning some pickleball strategies will make your playing time more enjoyable. While the rules are relatively simple, there are tricks and strategies to employ for almost every aspect of the game that will help you improve as a pickleball player. Bettering your serve consistency and placement will go a long way towards raising your win ratio. And mastering the techniques behind serve spin, the dink, and the drop shot will help raise you from just player to competitor. Check out our pickleball strategies section for more details. One of the great things about the game of pickleball is that it doesn’t require a lot of expensive equipment to play. For the most part all you need are paddles, balls, and a net and you are in business. But there are other accessories like shoes for pickleball, pickleball equipment bags, and pickleball shirts that can make the difference between a fun trip to the court and a miserable one. 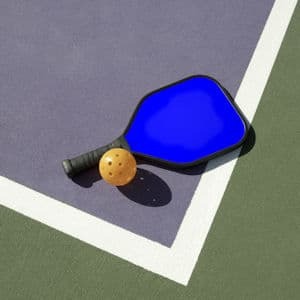 And while grabbing a cheap pickleball paddle is relatively simple to do, as you get serious about playing you may want to look into more specialized equipment. Not all paddles are created equal, and some will give you a definite advantage when it comes to ball control and placement. 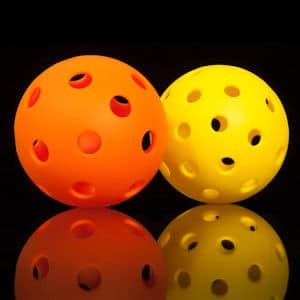 Our pickleball equipment section outlines the different gear and products that you should consider if you plan to pursue the sport, or you can read our review of full pickleball equipment sets to get everything you need for a game in one purchase. With dozens of different brands and styles of pickleball paddles available, and new models coming on the market all the time, it is easy to get overwhelmed when trying to decide what to buy. Believe it or not, the USAPA has an official list of approved and non-approved paddles for playing pickleball. And different paddles have different strengths – some are better for beginners, while others are better pickleball paddles for spin. 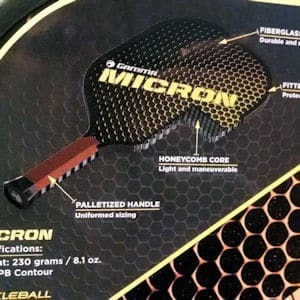 That is why our pickleball review section breaks down the latest gear, and lets you know which ones will help your game, and which ones to avoid. We don’t stop at paddles – Pickleball Ace also looks at other gear like pickleball nets and full equipment sets, in case you want to take your game home or on the road. We compare and contrast features and shortcomings, so that you can make an informed decision before you buy. And we also look at some cool pickleball gift ideas for the aficionados in your life.